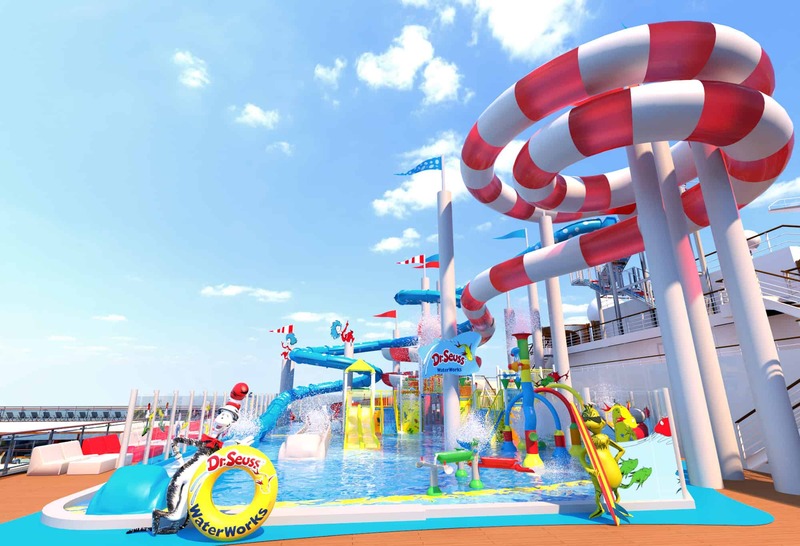 Carnival Cruise Line’s newest ship, the 133,500-ton Carnival Horizon, will be the first in the fleet to feature Dr. Seuss WaterWorks. A water park inspired by the whimsical world and words of the legendary children’s author. The 3,934-passenger vessel is set to debut in Europe April 2, 2018. 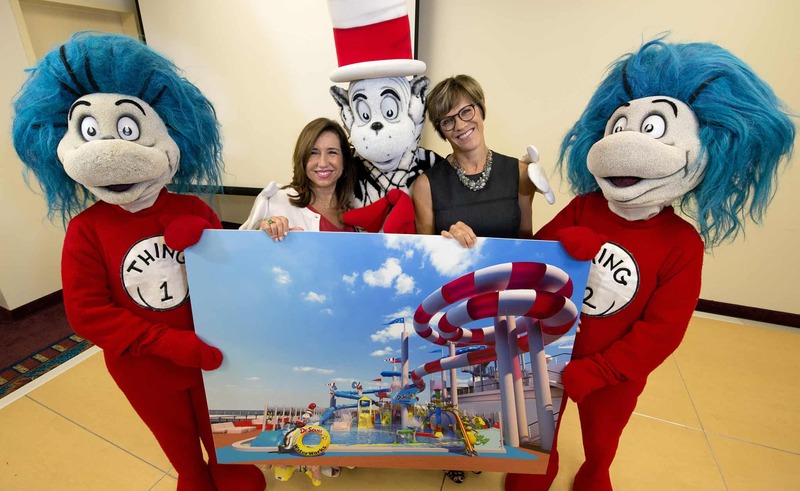 Carnival President Christine Duffy and Dr. Seuss Enterprises President Susan Brandt made the announcement at Cruise3Sixty, an annual gathering of travel agents held in Fort Lauderdale, Fla.